was developed centuries ago. Each piece of porcelain is freehand sketched, hand painted and then fired to about 1400 degrees to acquire its permanent surface. 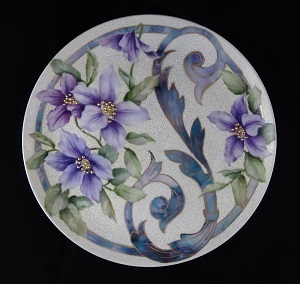 Most pieces need several paintings and firings because the porcelain absorbs only a small amount of china paint at each firing. More color must be added and fired again to obtain the depth needed to bring out the design. 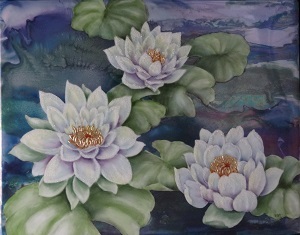 The art of china painting allows the artist to achieve a beautiful translucent effect on porcelain as it is our canvas. Each piece is an original painting and signed by the artist. 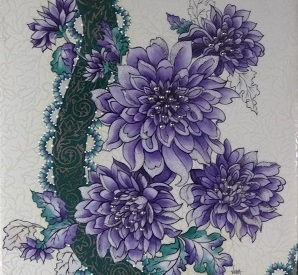 Because each piece is free hand painted, they will vary in appearance. This is a touch that makes each piece an original - you can be sure each piece is unique and unlike any other. Treasure them as you would any fine heirloom!